Rupert Murdoch's 21st Century Fox has sold its 39% stake in Sky after losing its bid to buy the remaining shares. After nearly 30 years, the controversial Australian media tycoon exits the business he was instrumental in setting up. The move brings forward his disassociation from the company, which would have ended after Disney, which is in turn buying the entertainment assets of 21st Century Fox, completed its acquisition. Disney will have no part in Sky going forward. Instead, the shares have been sold to Comcast, who at the weekend were successful in their bid to acquire the around 60% stake in Sky that had been up for grabs. "His vision and belief has enabled us to grow into Europe's leading direct to consumer business and I would like to personally thank him, James and 21st Century Fox for their consistent support as shareholders, board members and friends." 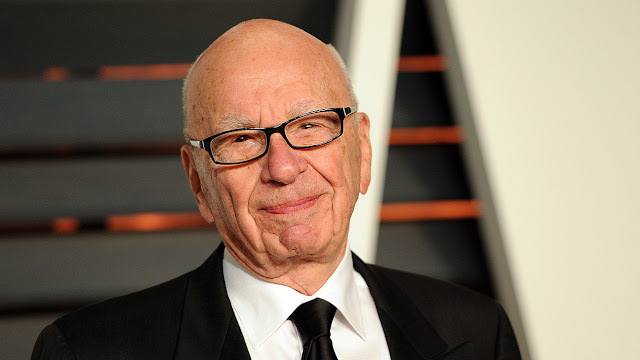 Through News Corp and its acquisition of Wireless Group - the former UTV radio business - Mr Murdoch will continue to exercise control over a number of UK newspapers, radio stations and websites. In the last few months, the company has been following the example of Sky by activity poaching star presenters and sporting rights for its radio stations, signalling that Murdoch wants to do radio what Sky did to the television sector.